Rusticated country styling blends effortlessly into your home with the Hollyhock Collection. 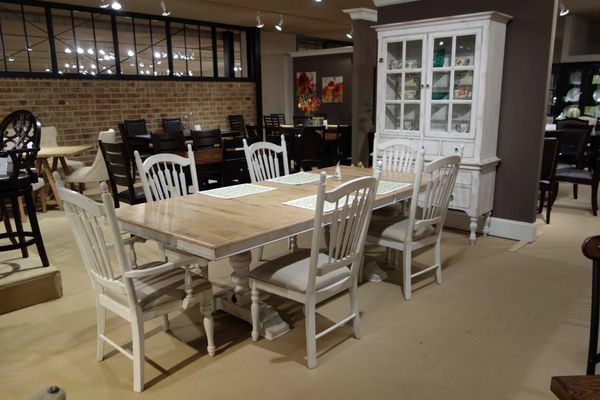 The distressed white finish not only serves as a bold color for your dining room; it also elegantly highlights the natural wood finish of the table top. The combination of white wood and dark metal forming the knob hardware of the china; presents a focal contrast to this functional piece. Drawer and door storage provide ample storage and display space for your table top accessories. The traditional look of the chairs ? slat backs and finial topped ? 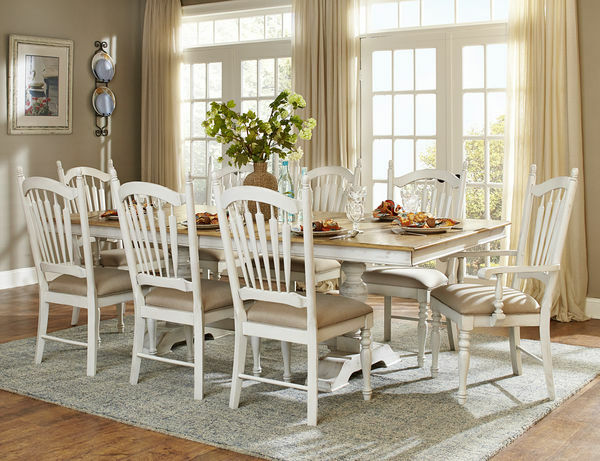 further lends to the country styling of this classic dining collection.